A denture is a removable appliance or prosthetic that is used to replace missing teeth and surrounding hard tissues (bone) and soft tissues (gums). Over 33 million people in the United States are wearing dentures. There are two types of dentures: complete or full dentures, that replace all of the teeth, or partial dentures, that are used to replace some missing teeth. High-quality dentures are made in four to five visits by a Dentist. It is important to manufacture a denture with accuracy for the prosthetic to fit correctly. The quality of a denture is related to how they are made and what materials are used to create the removable prosthetic. The denture base material (the pink gum part) should be made with the highest quality acrylic. Lucitone 199 is the highest quality acrylic available today and produced by a Dentsply Prosthetics. It is essential for a denture to be processed via an injection heat treated mold under constant pressure, as this creates the most durable acrylic. This type of acrylic is least subject to dimensional changes when it is processed under heat and pressure. Another method of processing teeth is cold curing with no pressure. This is a cheaper and quicker method, which allows the denture to change in shape and color over time, which results in a poor fitting prosthetic. There are also high-quality teeth and standard low-quality teeth. Dentsply supplies the highest quality teeth, called Portrait IPN, which look like real teeth and have a lifetime warranty against chipping and breaking. These high-quality materials maintain their color and luster. They are also easy to clean and polish. Your best accessory should not need Fixadent to stay in your mouth. It is essential to manufacture a denture with accuracy for the prosthetic to fit correctly. A properly fitting full or complete upper (top teeth) denture should stay in the mouth with suction and not rely on denture adhesives. A lower (bottom teeth) denture is more challenging, as it is subject to movement by the muscles that attach to the lower jaw. 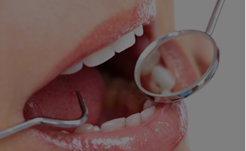 Dental implants can be used to anchor or hold the denture to the jaw. A poorly fitting denture feels loose and can cause sores on the gums. Over time the gum tissues and the jaw bone shrink because of the loose fitting dentures. 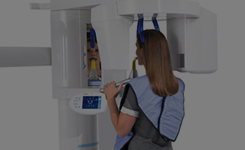 When the frequency and amount of dental adhesives being used increases, it may be indicative of the need for a new denture or a denture reline. Denture adhesives can cause allergic reactions and health issues for some patients. Have Dentures, But They Just Don’t Fit Well? A denture reline is when new material is added to the inside of the denture to make it fit better. A denture reline usually takes one day to complete. Denture patients can lose up to 20% of the supporting tissues each year, which is why dentures become loose. Loose dentures may indicate the need for a reline or new dentures. Sometimes a patient’s denture can be converted into an implant retained denture or a denture that is held in place by dental implants. Dentures should be customized for every patient. The process of creating a Denture that fits a patient’s mouth is not just taking an impression or making a mold of a patient’s jaw. 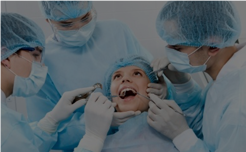 One crucial step during the procedure is called the wax try in, this is an appointment where the denture teeth are set in a pink wax and the patient gets to see what the denture will look like before it is processed into the acrylic. 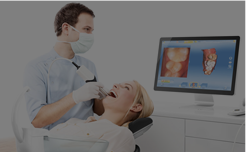 The Dentist is able to check that the patient’s bite (the way the teeth touch) is accurate and feels comfortable for the patient.